Back in 1994, when the first smartphone was launched to the general public, none have ever predicted, what an integral part of our life it will become. Right now, we have more than 2.1 billion mobile users and by the end of 2019, the number is expected to cross 5 billion, according to a report by Statista. The Mobile App Development landscape is booming at a backbreaking pace. And here, with each passing year, the new vogue comes and go. Now, the Mobile App Developers and App Development Companies, who do not embrace these modern app development trends fails miserably. With all new iOS12, App Developers are searching for ways to evolve the cutting edge approach of Mobile App Development trends. Because of enormous popularity and rich feature updates, iOS applications can be an amazing opportunity and a justifiable investment for every business. Being one of the leading Mobile App Development Company, we have noticed that our clients are getting more interested in developing innovative and out-of-the-box mobile apps, which can help them attract a huge customer base. Walking hand in hand with the latest tools and technologies, also keep an eye on the latest trends to level up the user experience. The latest update from Apple, iOS 12, is giving developers reasons to rejoice. There are a number of opportunities for iOS App Developer to add an extra touch to an app by using features such as Siri Shortcuts, ARKit 2 and more. When it comes to hardware, Apple Inc. also rolled out the A12 Bionic CPU, which is much faster and consume less power. Here are amazing trends that you need to pay attention to in 2019 to create an incredible iOS Apps for the users. These trends shape-up the way the apps are being built, be it shopping, messaging or travel app. Augmented Reality has tons of use cases to make the app more interactive, which means it is not simply cool, it is useful. And that’s what the technology trends are all about. Also, the breathtaking demos showed by Apple on iPhone 8 and iPhone X are indeed a proof that AR is going to be a game changer of 2019. With ARKit 2, Apple is providing developers, an improved platform to build AR apps. 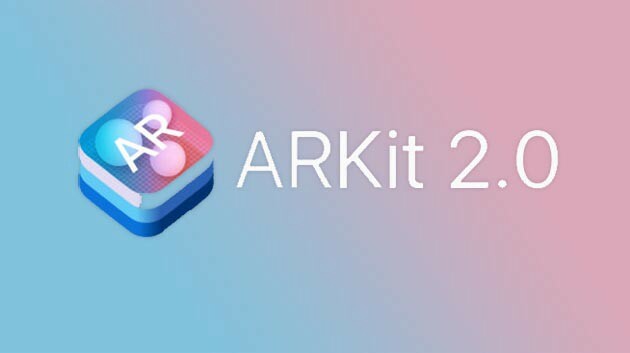 With the introduction of ARKit 2, Apple enabled developers to create highly innovative AR apps for the world’s biggest AR Platform. The ARKit 2 makes it easy to build vivid AR experiences, also enable apps to interact with real-world objects. Just like IKEA, one can also utilize the power of Augmented Reality; IKEA Place allows consumers to imagine and virtually see, how the products would look without physically bringing into a home. Now it is your time to use ARkit framework for your iOS App Development, as it will be the must-have feature of the upcoming on-demand apps. 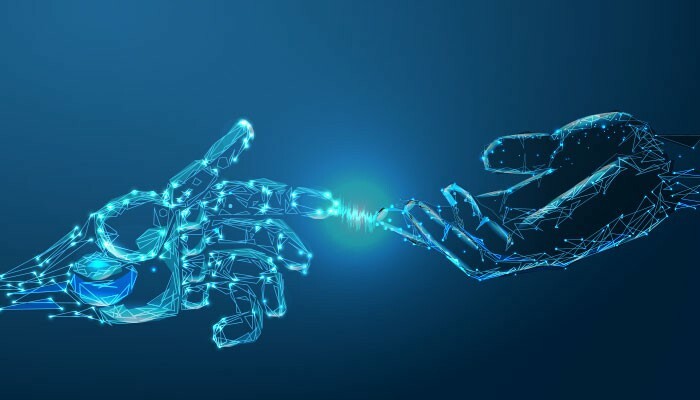 As business notice the growing popularity of virtual assistants, they are also moving towards having a Mobile App in form of chatbots or personal assistants. And as being a developer, one cannot overlook this latest app trend and hence start gearing up to build such applications this year. With the new iOS 12, now Siri can be integrated into the third-party iOS apps, namely Siri Shortcuts. This is one of the amazing features from iOS 12, as it enables iOS developers to build iPhone application that can trigger this amazing voice assistant easily and quickly. Today more and more business around the globe would love to integrate voice assistants into the app, to boost the usability and user experience. Apple has now started taking voice assistants functionality seriously, as it will keep booming in the next decade from now. To such a great extent, AI-based Siri Shortcuts will keep soaring in the year 2019 and even beyond. Siri Shortcuts are much smarter and give us all privileges to decide which action on your app can be accomplished directly on Siri Shortcuts, without opening the app. Now you may think, that this is bad for the user engagements. If users won’t even open the app, how to establish a strong interaction? And what about the ads and the revenue? Well, think this way, the app fatigue is real and with this rapidly paced long run, ‘Time’ is the only thing that matters the most. If your app can save users time using Siri Shortcuts, they will definitely choose your services over and over again. As a matter of fact, the idea of Apple promoting Siri Shortcuts is falling under the concept of ‘Time Well Spent’ wherein the users are encouraged to spend less time on their phones, and more time doing well with life. So, if your app leverages this amazing feature, your app will secure a space in the trending apps section. Core ML came with the computerised vision technologies, natural language processing and AI-based game development functionalities. Now the latest version, the core ML 2 is playing an essential role in the development of Apple’s future hardware-ready products. Core ML 2 toolkit enables iPhone App Developers to use quantization in reducing the 75% of the trained machine learning model’s size. Apple Inc. integrated the whole new level of intelligence, - the Apple Neural Engine which accelerates all the functionalities of Machine Learning (ML) in the new generation devices. The introduction of A12 Bionic, with next-generation Neural Engine, delivers extremely incredible performance. It uses real-time machine learning algorithms to transform the way user experience photos, gaming, augmented reality and much more. It means iPhone XS can make predictions, recognise patterns and learn from experiences, similar to the way a normal human being does. The neural engine is extremely fast, also able to perform 5 trillion operations per seconds that can find pictures of you or beaches from the gallery within a fraction of a second. Apple opened the Neural Engine up to the Machine learning platform. Also, the Core ML 2 delivers blazingly fast performance with easy integration of machine learning models. Hence, now, developers can bring powerful, real-time and quick machine learning to their apps. In 2019, Core ML 2 will be the most popular trend among all. Indeed, iOS is considered as the most secure platform and there are certain reasons which justify a claim. The constant OS updates are one of the many that keeps the device and apps glitch-free. The fun fact is, Apple has a prime advantage over Android, that there are only a few stubborn users who refuse to download updates. Moreover, it has full control over how their device and iOS work together. What can you expect from iOS App Security? App Transport Security is now compulsory for each newly published iOS App. Each iOS App is allowed to access files and make changes in a virtual sandbox, as each every app has its own sandbox. The inbuilt app security features are updated frequently with new security patches. While considering iOS app development trends, we should consider the fact that nowadays cybercrime is rapidly increasing. Apple created security-focused and enterprise level culture that enable users to maintain a safe and secure working environment. It is essential of iOS development companies to deliver optimum secure app, and it is not just another mobile app development trend, but a devotion to strengthen and improve privacy using constant updates. In order make the app more secure, iOS App Creator needs to be additionally vigilant while putting up the app for any iOS platform. Strong and more inventive data encryption algorithms are bound to materialize in 2019, with a constant effort being put in the same direction. Moreover, Apple’s integral security features and functionalities are getting more desirable with each year’s launch, and this motivates iOS developers to keep security at the prime interior of apps. At Kunsh Technologies, we build iOS apps compatible with updated security-related approaches every year, and the year 2019 will be no exception. Swift 5.0 - since the version was announced, iOS developers are excited about this beloved iOS programming language. Most experts predict the release date to be around April 2019. The updates that Swift 5 will bring holds equal importance for iOS App Developers in 2019. The new version will bring ABI (Application Binary Interface) stability. The ABI stability will help developers to embed the Swift libraries with the runtime, and that too, within the OS which is compatible with iOS apps developed using Swift 5.0 or later versions. The Objective C was being used over Swift, due to the absence of ABI stability, But, with Swift 5.0, you will have no other reason left to not to choose Swift for the iOS app development. Also, ABI stability in Swift 5.0 will reduce an app size. Well, it is also the fact that Swift has already paved its way in the list of one of the top programming languages and at present, there are more than 350,000 apps built using swift are already live on Apple app store. It is simple, easy and highly secured. It means it helps to develop power-pack apps in 2019 and beyond. Now with Swift 5.0, it is necessary to Hire iPhone App Developers or A iPhone App Development Company all armed with the knowledge of the latest Swift trends. Cisco has predicted that we will have 50 billion Internet-connected devices across the world by 2020. This amount will be 10 times the human population of that year. IoT is now no more technology from the future and iOS is not at all behind is this IoT race. Apple HomeKit framework provides a platform/dashboard for appliances and generates actions to control them. It is easy to group the actions for devices using HomeKit and access them using Siri. HomeKit is a blessing for companies who are planning to manufacture peripherals or developing apps for IoT enabled systems. With the appliances working in sync, to communicate with each other, Apple’s HomeKit has tremendous potential to take home/office automation to the new heights. Digital signals recognition using a sensor or transducer, secure data exchange and controlling devices worldwide are some of the prime focus points for IoT based app development at the present time. All the IoT devices normally work via their companion apps, it means that for every IoT device there is a requirement of a separate mobile app. Apple’s HomeKit will help iOS developers in building apps that can easily connect with IoT devices, especially smart home devices. Just imagine IoT and mobile devices are talking to each other and sharing information and commands. Also, at the centre of it is Apple’s AI, Siri. You can integrate IoT apps and Siri Shortcuts in such a way, that you can lock your doors miles away from your home with one voice command to Siri on your device. IoT innovation a strong contender in the list of iOS Application Development Trends for 2019. 2019 is going to the year of innovation for developers as well as users, whether it is iPhone or iPad, the number of Apple devices are gaining popularity and creating a strong customer base. What’s more, the enterprise-friendly features attracted a number of companies to embrace iOS devices to implement mobility and BYOD concept. Moreover, it is completely fair to say that iOS app development services will thrive in 2019 and beyond. We certainly can expect out-of-the-box applications in the future. According to you, What’s going to be the next trendy thing in the technological era? Share it with us. We are delighted to give them the mention. As being one of the leading iPhone App Development Company India, our highly qualified iOS developers are all armed to deliver cutting-edge iOS app solutions across the globe. We are all set to integrate all the new features to meet your business requirements. Just contact us with your iOS app requirements and get the most from the advancing futuristic technologies.